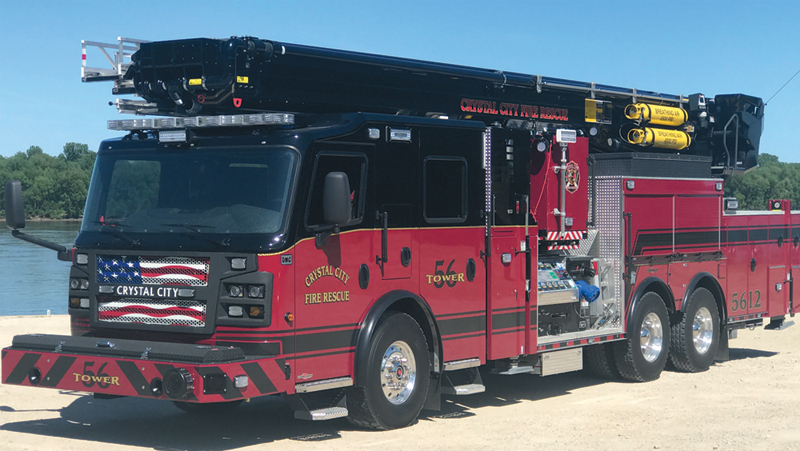 Crystal City Gets New Apparatus | F.F.A.M. 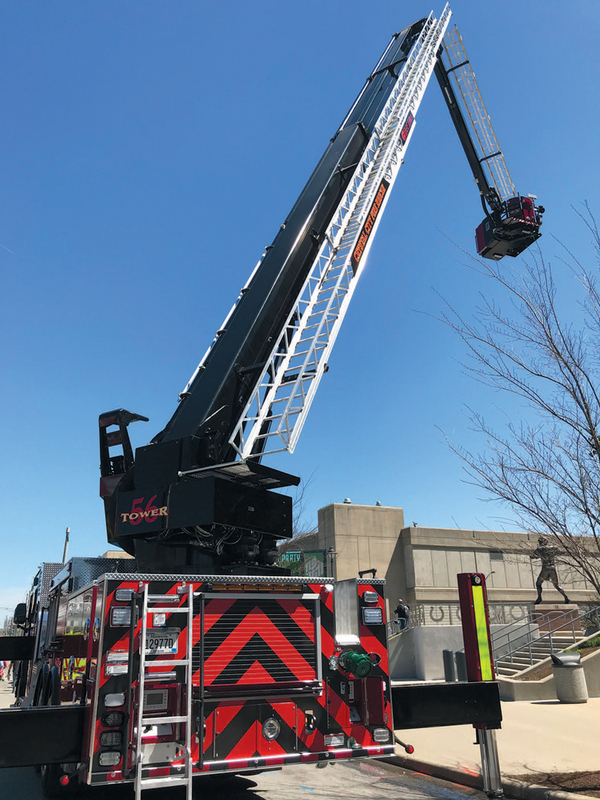 The City of Crystal City accepted delivery of a new 115 foot Rosenbauer T-Rex Articulating Platform on June 1, 2018. The platform is the first T-Rex apparatus sold in the state of Missouri. 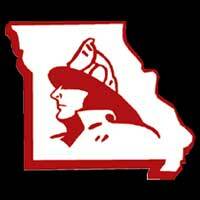 The apparatus was purchased through Sentinel Emergency Solutions in Arnold, Missouri at a cost of $1.5 million dollars. 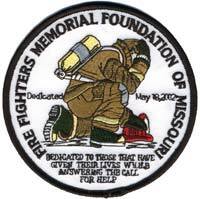 The apparatus has a 2,000 gpm pump and 1,250 pound platform capacity. The truck can lift 8,800 pounds, carry a wheel chair or patient in a stokes basket from 115 feet to roughly 20 feet below grade. 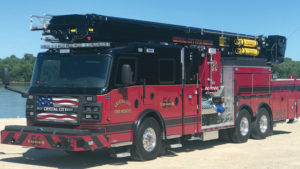 The apparatus has a 300 gallon water tank, 30 gallons of foam, 500 feet of 5” LDH hose, two 1-¾” water/foam hose lines in the front bumper, battery operated ram fan and battery operated Hurst rescue tools. 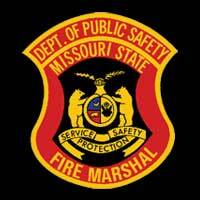 The truck is also equipped with MSA G-1 self-contained breathing apparatus with thermal-imaging. The apparatus also features smart technology operations. The purchase of the apparatus was made possible by the passage of a police/fire tax passed by the residents in 2015. 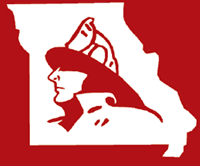 The Crystal City Fire Department is a full volunteer fire department in Jefferson County that provides fire and rescue service to the City of Crystal City and a rural area to the south. 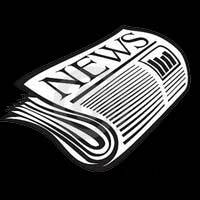 The fire department provides protection for approximately 5,000 residents.